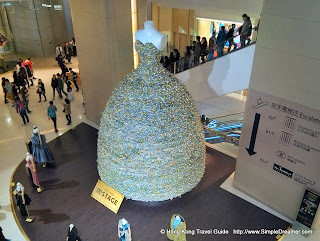 There are also a few 'smaller' or should I say giant but not as huge dresses made of colour Christmas decorations. 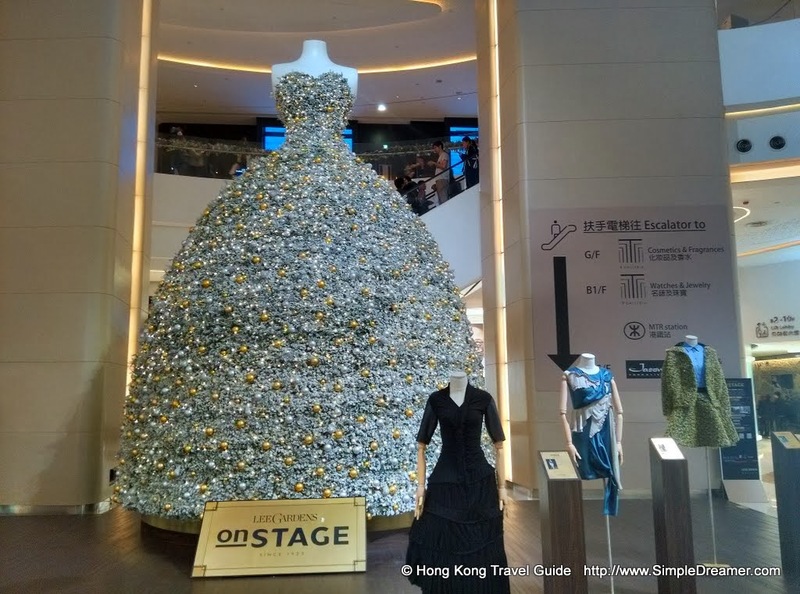 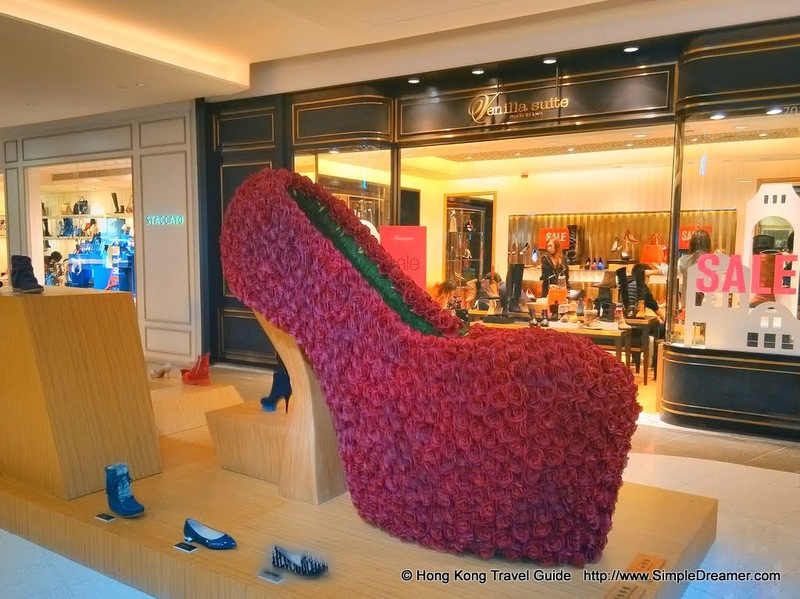 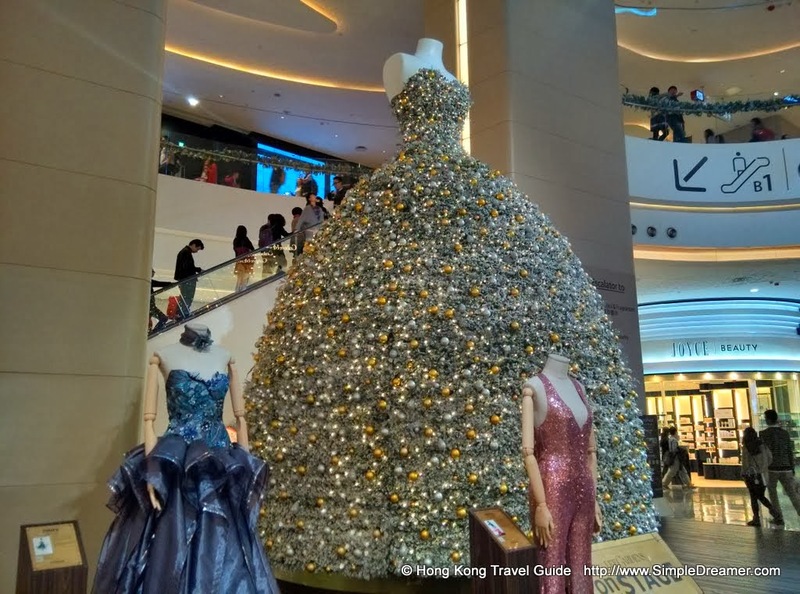 Besides these eye catching decorations, the show also pay tribute to Hong Kong fashion design from the 1930s to 1990s by displaying ladies wears from decade since 1930s. 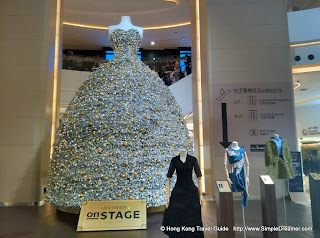 This static fashion show is Scene 3: Fashion on Stage of Lee Gardens On Stage since 1923 show. 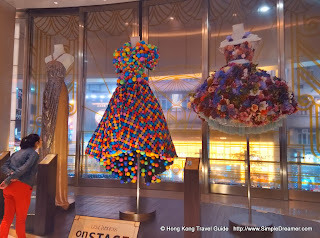 The 5 stages show is currently on at properties owned by Lee Gardens in Causeway Bay.